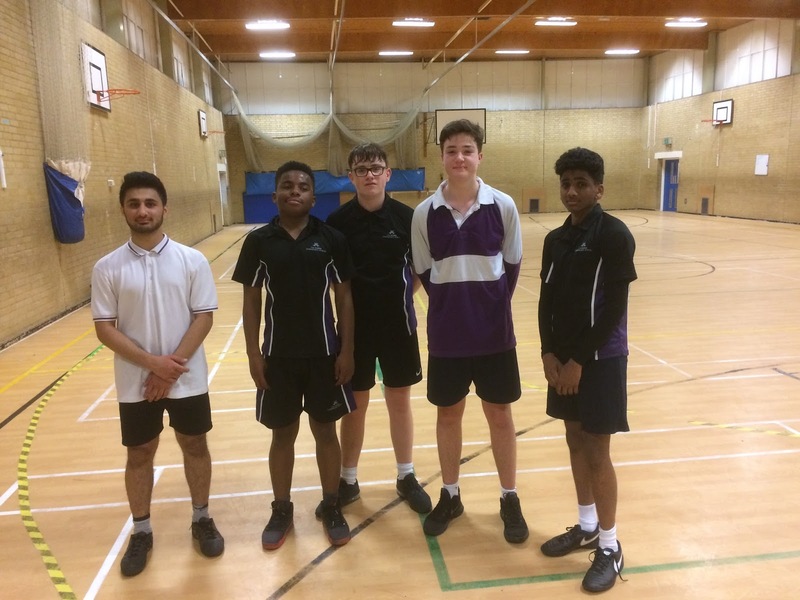 Year 10 and 11 Basketball vs Sir Herbert Leon School. On Tuesday 17th April the Year 10 and 11 basketball team played their final match of the MK schools season. The team were in high spirits, following winning their last three games, as they made their way across the city to take on the formidable Sir Herbert Leon team. The first quarter started brightly for the Webber team with Thomas Loh and Benjamin Giddings dominating the scoring. Webber pushed out to a 10-3 lead at the end of the first quarter and moved the ball around the court well, which created some fantastic chances. Sir Herbert Leon started the second quarter a lot stronger, they defended passing lanes well and also rebounded any missed shots from Webber. Sulyamaan Ahmed and Aaron Onginjo battled well in defence and created several turnovers and opportunities to score. The quarter finished with the Webber maintaining a 16-6 lead. The third quarter was Sir Herbert Leon’s strongest, with a 6 point run only ended by some pin-point shooting for Tharsan Baskaran. Webber had lost some accuracy in its passing and movement and also turned over far too much possession. The score at the end of the third quarter was 22-14, setting up a thrilling last 10 minutes. The final quarter started at a good pace for Webber with possession and shots that turned into points. Sir Herbert Leon tried to battle hard in the mid court, however Lionel Fraser showed his excellent shooting ability and carried the final score to 33 to 22 in favour of Webber. Since finishing 6th in the MK schools tournament this team has really played well together resulting in four straight victories. The season has been a great success and one to build on for next season and beyond. Well done team, it's been my pleasure to coach you! Thank you and well done for all your hard work.